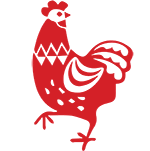 Want Roaming Rooster all to yourself for an event? Contact us for catering and private event inquiries - we love a party and we can help with your next event! Please fill out the form below and we’ll be in touch soon.